There was a good turnout of eager anglers on Sunday for the Spring Singles competition. A stiff North West wind proved very testing and the fish that had been feeding greedily the day before on surface flies, now thought better of it, and descended to the depths of the muckle troot. Those who adapted to finding the depth of feed faired the best and when the final whistle blew, the winner with 7 fish and 11 points was Richard Cowie. Second place went to the competition veteran Bill Bain with 5 fish and 9 points and in third was Kevin Matthews with 4 fish and 8 points who pipped Ronnie Ewen on the count back system. Special mention goes to Garry Frost who fishing his first ever competition landed a beautiful 11 ½ lb fish which was returned to fight another day. Well done to all those who took part and it was good to see the friendly banter and laughs that were had on the day. During the week there was a consistently good catch mate most probably brought on by the milder weather. Davy Wood had a great day netting 18 and keeping 3 for the pot, Davy Simpson had 17 on Fabs + Buzzers. Bryan Ross strikes lucky when there was a rise and had 16 on emergers, all at the muckle troot. Peter Young fished consistently throughout the day and landed 15 fish on of them a lovely 8 lb specimen, which he had a terrific scrap with. Scott Sim had 14 fish on Buzzers and fishing buddies Ian Falconer and Jim Souter had 8 and 5 fish respectively on Damsels Olives and Assorted Lures. Also out fishing together were Russell Jenkins and Stewart Howie with Russell netting 10 fish to Stewart’s 9 on a combination of Lures and Buzzers. 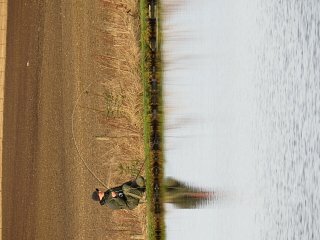 With the Easter holidays starting here’s hoping for good weather to get both the young and old out fishing. Tight lines. There was a good turnout of eager anglers on Sunday for the Spring Singles competition.